Speakers at a discussion yesterday called on the Saarc countries to strengthen cooperation among themselves for regional development under the umbrella of South Asian Association for Regional Cooperation (Saarc), which hold immense potential. Lack of cooperation is hampering Saarc activities, former principal secretary economist Dr SA Samad said, adding that whereas regional trade and investment is over 80 percent under North American Free Trade Agreement (Nafta), it is less than five percent under Saarc. There is no common project among the regional countries, he said, calling for fostering the spirit of cooperation and true regionalism in order to make the Saarc more effective. Imagine New South Asia (INSA) and South Asia Alliance for Poverty Eradication (SAAPE) organised the discussion on 'People's Saarc' at Women's Voluntary Association auditorium in the city ahead of the 14th Saarc Summit. Speaking as the chief guest, eminent jurist Dr Kamal Hossain said the Saarc countries are facing new problems due to the impact of globalisation. The Saarc countries should strengthen regional cooperation to deal with these problems, he added. The speakers stressed the need for equitable distribution of natural resources and sharing of technology, skill and knowledge among the Saarc countries, more people-to-people contacts, simplification of visa procedure and smooth communication facilities. They also called for greater coordinated efforts by the governments, civil society members and the media to this end. 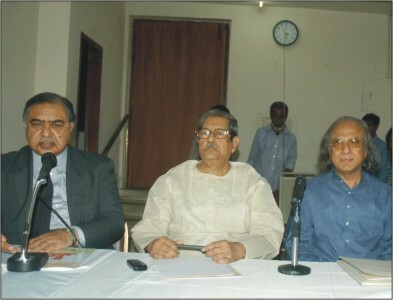 Editor of the daily Sangbad Bazlur Rahman, Prof Geeti Ara Nasreen, Rasheda K Chowdhury, Prof Anisuzzaman and Rokeya Kabir also spoke at the discussion moderated by Qazi Kholiquzzaman Ahmed, co-chair of Bangladesh National Steering Committee of INSA.